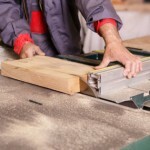 When wood particles from processes such as sanding and cutting become airborne, the resulting wood dust represents a potential health hazard. Breathing these particles may cause allergic respiratory symptoms, mucosal and non-allergic respiratory symptoms, and cancer, even though the extent of these hazards and the associated wood types may not be known for certain. Exposure to excessive amounts is generally considered to have an irritant effect on eyes, nose and throat in addition to pulmonary function impairment and is considered a human carcinogen. Western red cedar dust has been shown to cause asthma. Significant accumulations of fine particles of wood dust can also be a fire and explosion hazard in the workplace. For environments ranging from a small school wood shop to a full cabinet or furniture manufacturer, Air Purification Inc. can provide OSHA / NFPA compliant collection solutions to every wood-related application. A dust-free manufacturing environment leads to greater productivity and contributes to worker satisfaction. OSHA has set a standard at 5 mg/m3 for respirable dust and 15mg/m3 for total dust.